Mother in Law's Tongue originated in Italy; and it is widely used on Mother's Day. 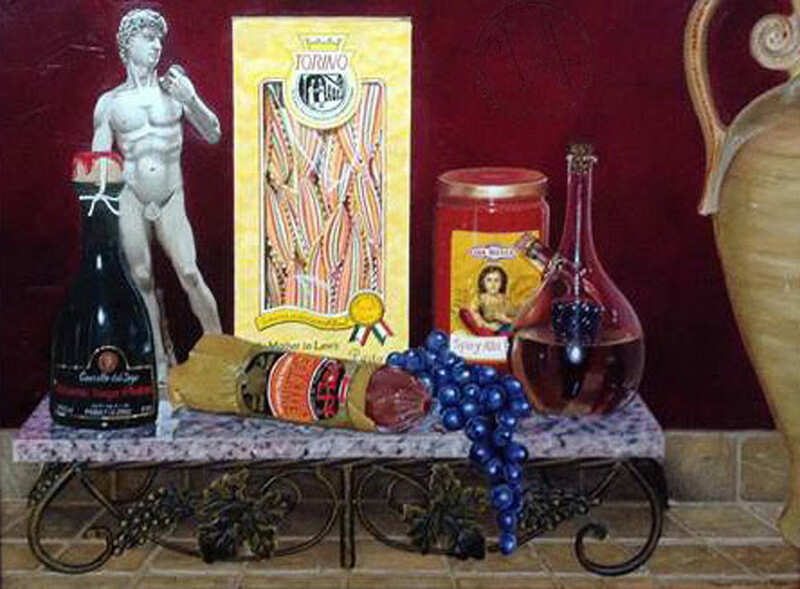 This still life was painted plein air with pasta sauce, grapes, salami, olive oil, Balsamic vinegar, and even a statue of David! These items are sitting on a marble and metal base with a Venetian Plaster wall in the background as well as a portion of a Limoncello vase – all sitting on a tumbled marble counter top. Original size 18x24.